Felines are curious creatures who explore their surroundings daily. They’re cats, so they’re generally solitary animals who have no problem being on their own for the majority of their lives. But domestication has brought human beings closer with cats, and since the ancient Egyptians, both parties have enjoyed each other’s company. Cats are now companions who express loyalty, love and they share many emotions that humans have. The tricky part is while they share similarities, it can be difficult to spot festering emotions such as anxiety and fear. Stress in animals is something that requires a fine eye that can spot certain verbal signals and body language to fully understand their mental state. If your cat is going to the bathroom without going to the bathroom, something is up. Sometimes the smell from a basin or the filling material can affect your cat in a negative way as detection of abnormal substances through scent detection can give false alarms. Alternatively you should try and place the basin on a cat litter mat, so the area feels comfortable and homely to the feline. However, it may not be an atmosphere or location that befuddles the cat’s senses, as cats are known for their habitual nature of self-grooming. 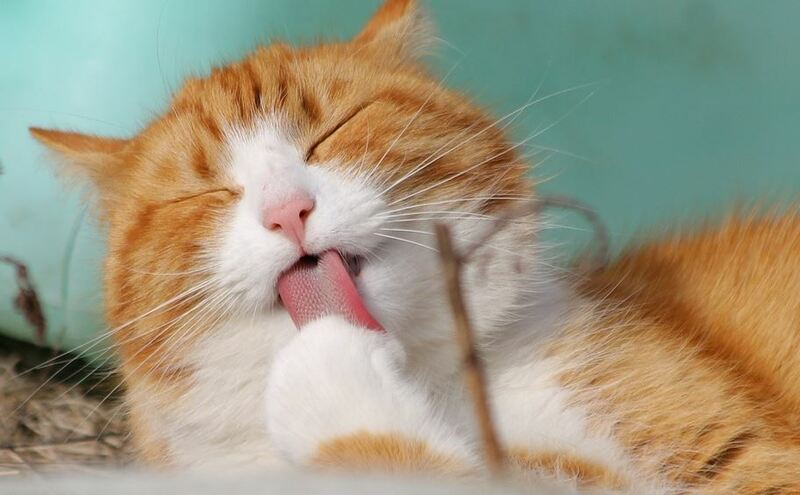 Licking themselves excessively can cause themselves to bald and their skin to inflame. 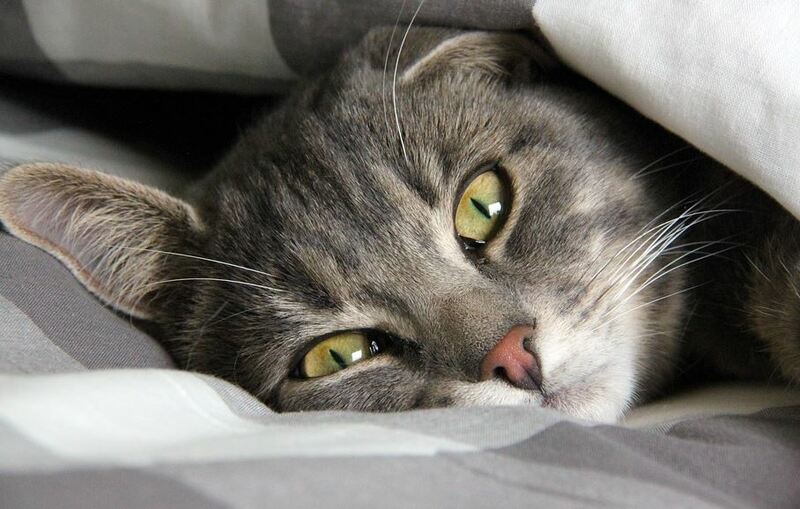 This can cause distress as furballs may develop in the cat’s stomach and cause diarrhea. It’s best to take your pet to the vet’s office immediately if this is occurring. Cats are known to be animals that like a snooze, and many are aloof by nature. However, cats need to be active and enjoy the play and communication. Cats shouldn’t be hiding from you and trying to get away at the first sign of you leaving the room. Take your cat to a behavioral specialist to see if it isn’t something that is causing friction between cat and owner. Also, if you see troubling signs like the cat’s head trembling or shaky, take it to the vet as soon as you can as this might be something psychological. 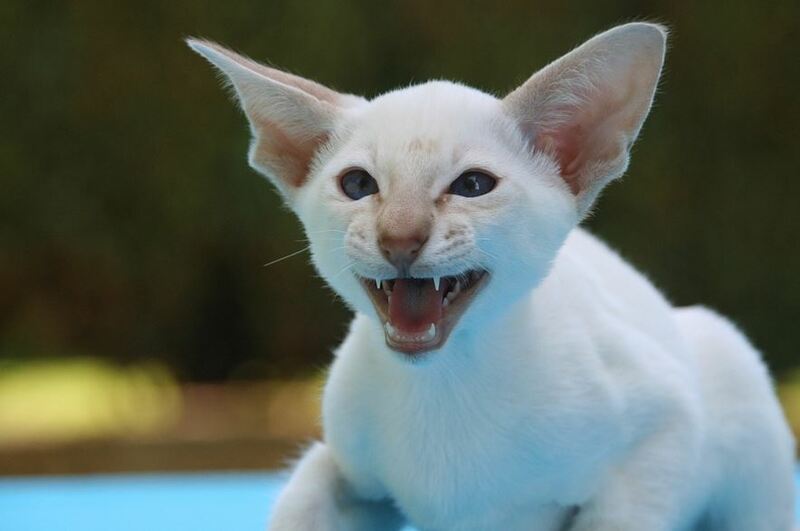 The first reaction a cat will resort to if it is stressed is aggression. A cat that is ill or stressed will display a sign of violence toward people if it feels threatened. Something that leads the feline to believe they may be in danger or encourage it to warn the creatures around it to back off may be due to a vulnerable physical state; such as an injury. Aggression toward other animals is a clear sign the cat has a difficult time socializing, and this may be due to a number of reasons. A cat which doesn’t have confidence around other animals who will inevitably come up close and sniff it to familiarize themselves with its scent will lash out at them. Also, if the cat is weak and surrounded by more dominant animals, the feline may resort to scratching and hissing in a bid to warn off the other cats. Equally, if its going into heat, the cat’s hormones will be all over the place, just like a human being’s. This means the behavior is unpredictable and anything can set a violent response off.